It is important to always follow the manufacturer's recommended care instructions listed on the tag of your garment to keep its fabric color and texture like new! However, even when we follow these instructions sometimes our favorite screen printed garments still crack and fade. There are separate steps you can take to keep the images on your favorite garment bright and new! The first step is in our hands. Its important that the ink on your garment is properly cured. Curing temperatures vary based on different types of inks and different types of garments. There are multiple ways to tell if the ink is cured. One way is to use a laser thermometer to ensure the ink has reached curing temperature. Another way (as shown below) is what we like to call the "pull test". Ink that has not been cured will crack when stretch (left). Ink that is properly cured should stretch with the garment (right). After you receive your properly cured garment the life of your print is in your hands! 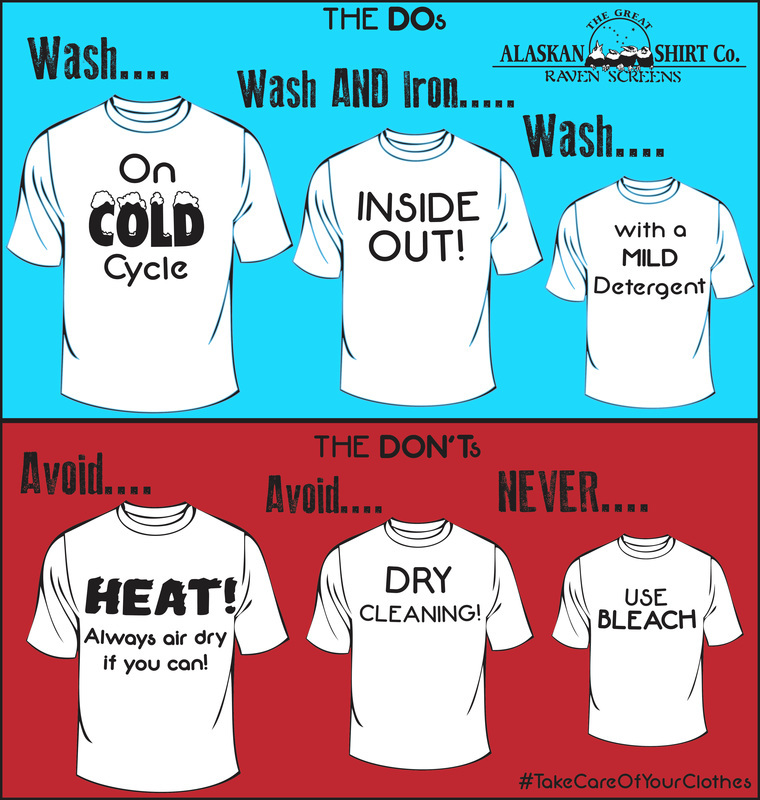 The tips below can help your garments live a more vibrant and extended life!